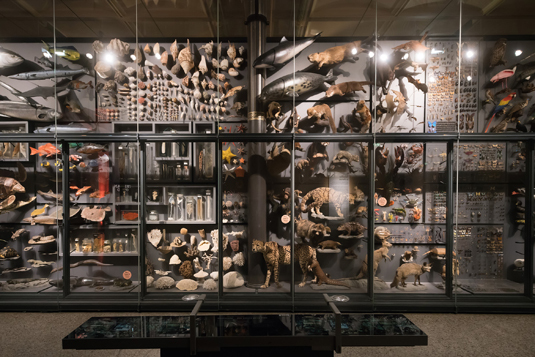 The Natural History Museum offers a unique setting with a variety of themes. 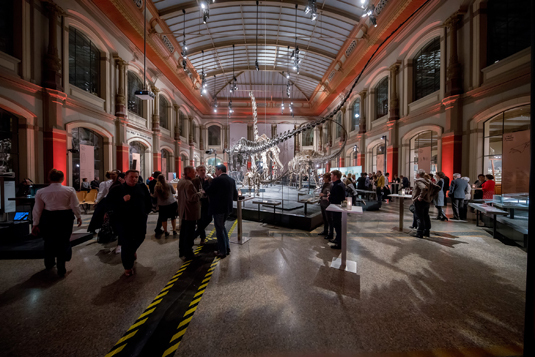 From a press conference with 20 participants, to an exclusive gala dinner among the dinosaurs, to a conference evening with 800 guests . 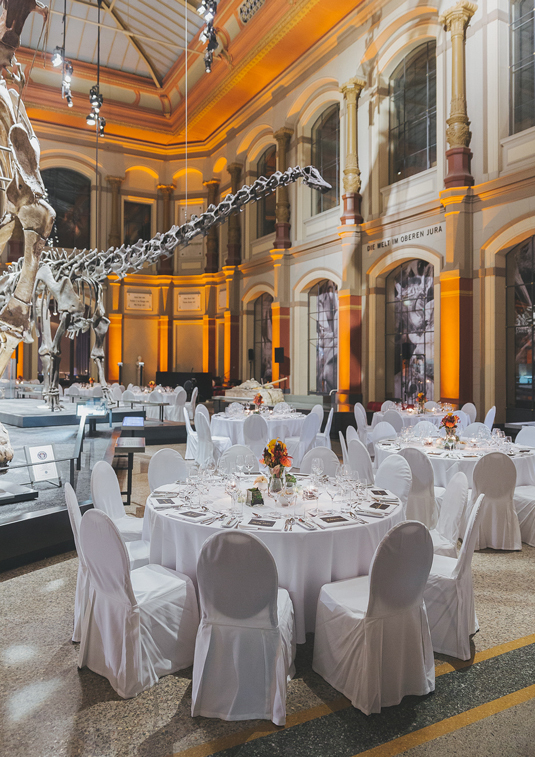 An evening in the museum gives your guests an unforgettable experience. 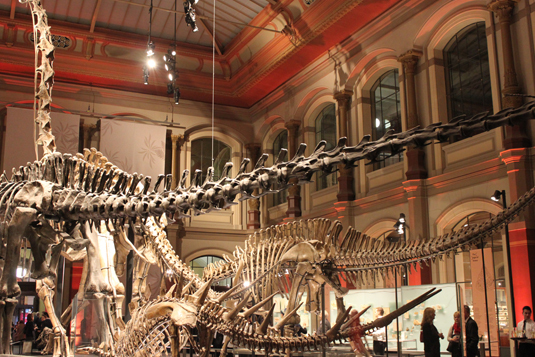 The Dinosaur Hall is the heart of the museum, with its central locations and open plan providing the best conditions for many kinds of event. 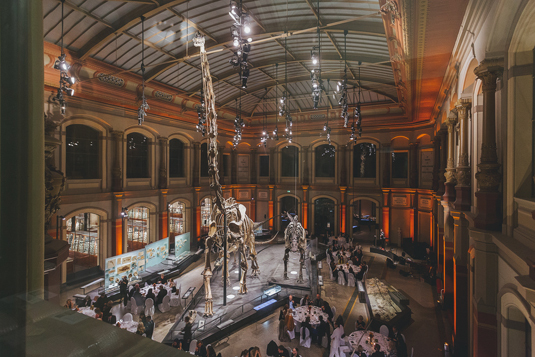 Whether panel discussions, gala dinners or receptions, world famous celebrities will top the guest list. 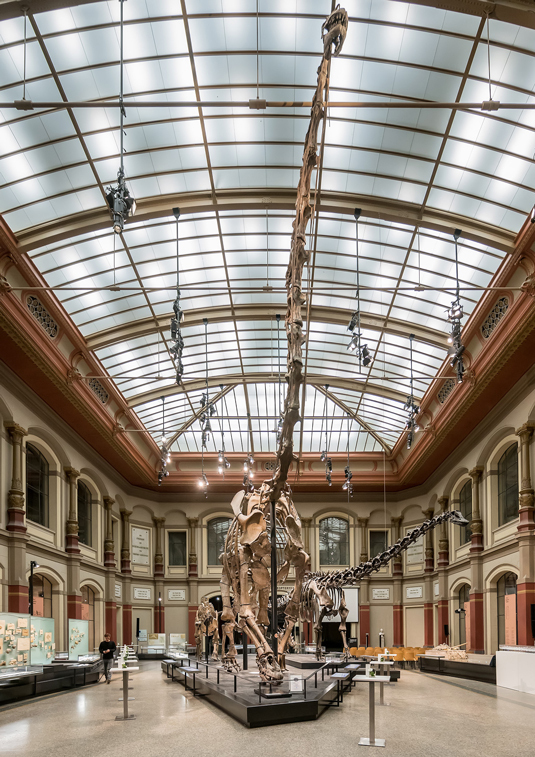 The Brachiosaurus nobly oversees the hall, with its record-breaking 13,27 metres in height, whilst your guests enjoy the pleasant atmosphere of the evening. 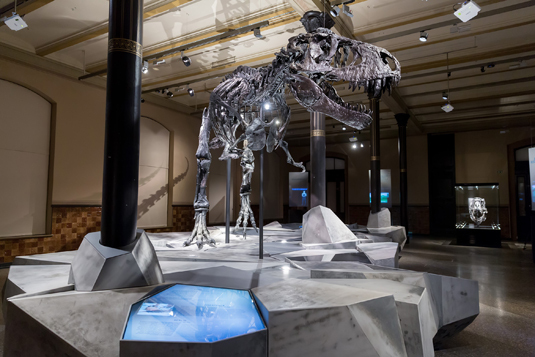 Another special dining partner is the original Berlin specimen of the Archaeopterix Lithographion – the Mona Lisa of fossils.